As anyone who's gone house hunting knows, the process can be dull. Driving circles around suburbs for hours is frustrating, as is trying to use poorly designed real estate listing websites. Homesnap, an app launched on iOS in March of 2012 and today on Android, seeks to make some aspects of home searching a bit more fun. Homesnap seems simple on the surface: take pictures of the houses you want to know more about, and compare them side-by-side. Under the hood, though, things are pretty complicated. The app relies on in-phone sensors like the GPS, magnetometer, accelerometer, and gyroscope. 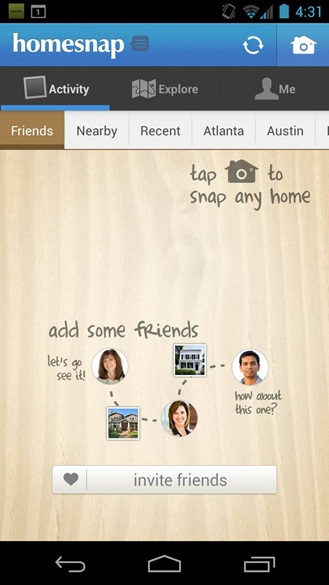 With these, Homesnap is able to figure out where your phone is pointing the moment you take a picture. 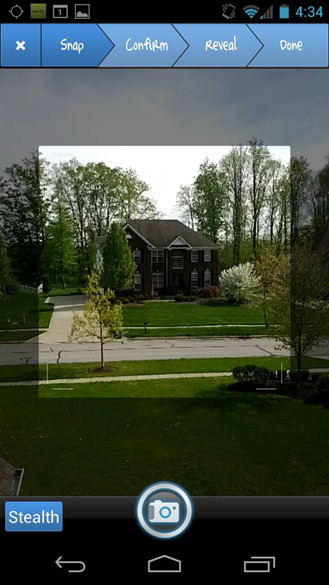 After the picture is taken, the app uses a number of advanced algorithms to serve up additional data, such as the value and for-sale status of nearby properties. 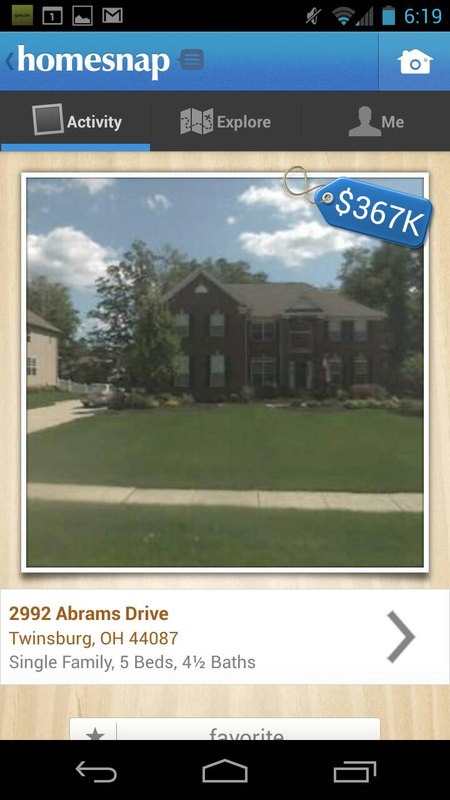 Homesnap works well. I took a few shots in a neighborhood near my home, and the app matched every address I threw at it. The app's "spy mode," a surreptitious way of looking up info about a property, worked just as well. 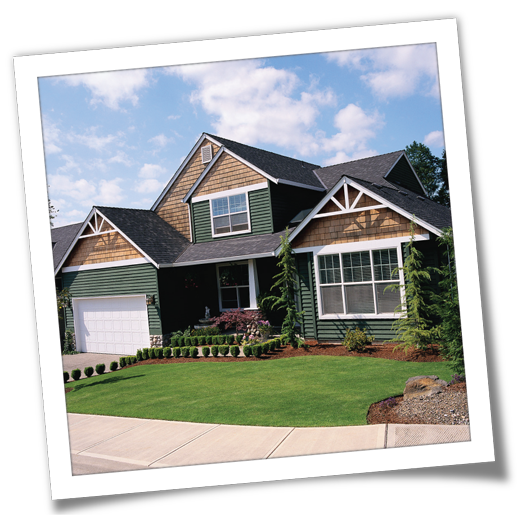 And some of Homesnap's features are novel, particularly an Explore tab that provides information about nearby homes, neighborhood price trends, and even the quality of surrounding schools. The interface isn't anything to write home about - it's identical to the iOS version - but the functionality is impressive. Of course, sharing pictures of houses with friends is an important part of house hunting (I learned that from HGTV), so it's not surprising, that Homesnap includes a home-grown social network. Unfortunately, I wasn't able to test it, because I don't know any house hunters. Perhaps in recognition that other users might have the same problem, the app also hooks into Android's traditional sharing mechanism, which I used to show a property to folks on Google+. Sadly, social media posts initiated from Homesnap contain little more than a link to the listing. Something more visual would've been nice. If you're in the market for a new house, Homesnap makes a ton of sense. Even if you're not a fan of the cool-but-admittedly-gimmicky augmented reality, the data Homesnap aggregates is undeniably top notch. It's certainly better than the hundreds of Web 1.0 reality websites laden with ads, and likely to make your home hunting experience at least bearable, if not kinda sorta fun.